WEGO Couriers have a genuine passion for helping the environment by improving air quality and reducing harmful traffic emissions in our city centres. 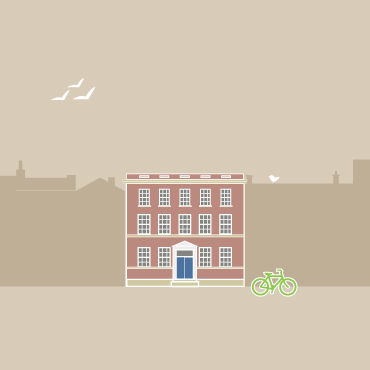 We utilise ultra-low emission vehicles, including electric vehicles and cargo bikes, as well as high-speed trains between key cities to provide same day and next day deliveries that are faster and greener than existing road based couriers. Established in 1998 with a headquarters in Nottingham, WEGO are your last mile delivery experts. We would love to talk to you about how we can help you and your business, so please do get in touch. 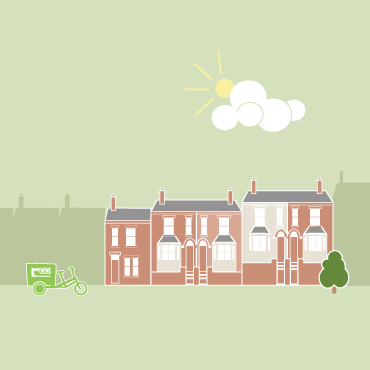 Choose our CLEAN Air DELIVERY solutions to send your letters, documents, parcels or bulky items anywhere in the UK by same day or next day delivery. An innovative door-to-door delivery service linking London with the Midlands up to 130 times per day. Avoid traffic congestion by using secure compartments on scheduled passenger trains. Our dependable couriers are renowned for transporting important documents and parcels between sites across city centres, reliably collecting and delivering at a regular agreed time. Friendly and professional couriers with great local knowledge, powered by electric vehicles, cargo bikes and pushbikes, who can safely transport multi-drop deliveries to suit all your needs. 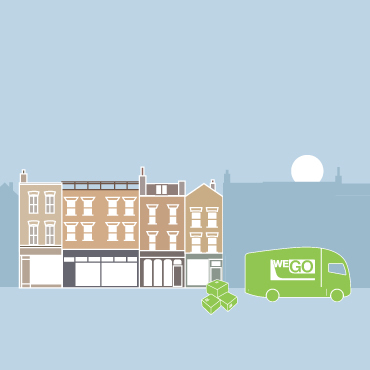 Working alongside major couriers, WEGO collect parcels from their large vehicle depots and deliver the last mile using ultra-low emissions vehicles, reducing air pollution and harmful emissions in our cities. Just want to send a parcel? WEGO support a diverse range of industry sectors and are always happy to explore new avenues, so please do contact us to find out how we can help you. 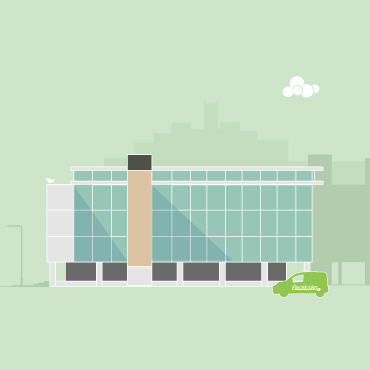 Working alongside major couriers, WEGO collect parcels from their large vehicle depots and deliver the last mile using ultra-low emissions vehicles, thereby reducing air pollution and harmful emissions in our cities. If you have limited space, WEGO can act as your stockroom, allowing you to call off items when you need them and saving you costs on expensive prime rate shop space. We can also deliver direct to your customer’s door. 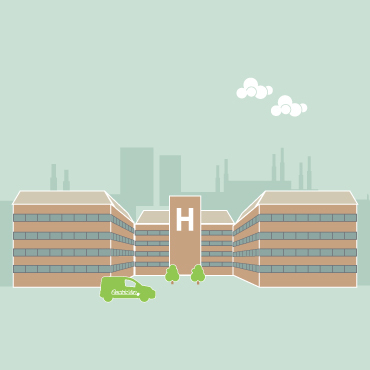 WEGO consolidate deliveries between hospitals, GP surgeries, pharmacies, care homes and private residences using ultra-low emission vehicles to offer specialist medical courier solutions that are both cost-effective and secure. WEGO work with venues and event organisers to offer a consolidated delivery service which avoids the need for stressful multiple deliveries. We can also transport larger items or equipment to your chosen event or exhibition. WEGO are trusted to carry important documents between local council offices, the County Court, Magistrate Court and London. 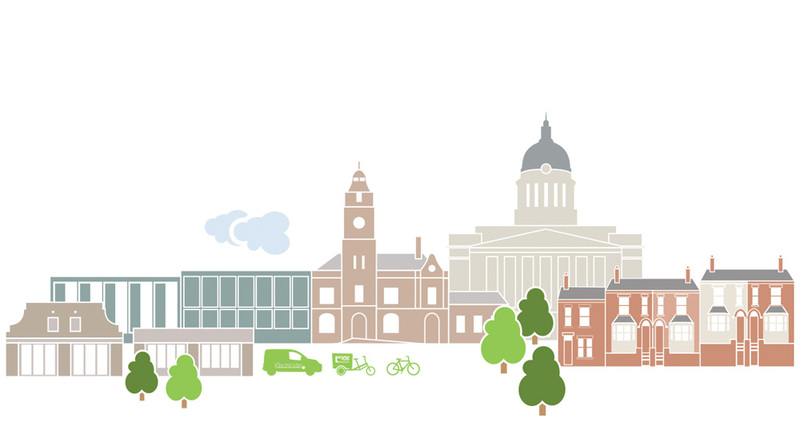 We also fulfil daily library rounds, ensuring the efficient movement of books around the libraries of Nottingham. WEGO collect from DX boxes and Royal Mail sorting offices to deliver mail at a time to suit business needs. We also collect and deliver post to local sorting offices at the end of each business day. 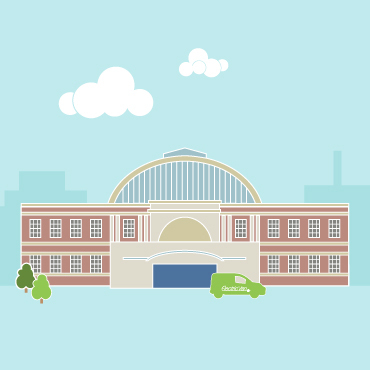 The central location of our WEGO HQ and our network of Parcel Hubs in Leicester, Sheffield, Derby and London means that we can deliver nationwide with ease.